Let a planet be born! It's a bit blurry isn't it? its modern art. live with it. I have a pretty cool background, jus wondering how u put it up exactly.... any help? go to a image hosting site (imagebucket, imagecave, imagesack), create an account, upload it and copy/paste the link here. 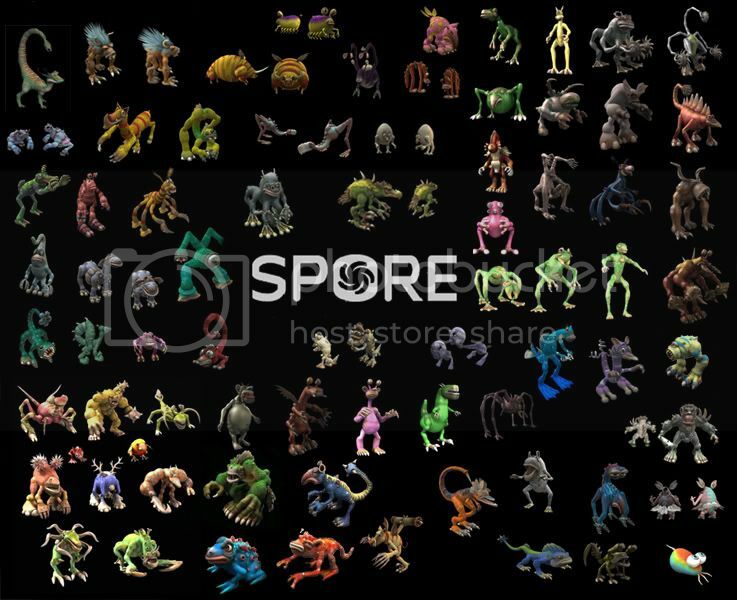 was bored at school, made this, read the thread and figured i could use it for spore. and u may need 2 crop it if u actually want to use it as a background... i have a widescreen so it fits, but it will probably distort if not. Unless I'm mistaking, that render is actually a stock image made by someone else. Not that that's so bad, but it's the only cool thing about the wallpaper. How is this related to spore? lol you raise a gd point, it aint reli related at all. I have one to. I have to say, the original is from SporeRevolution.com. I edited it a little bit. Wow, I actually really really like that one. And I don't usually like wallpapers..... maybe I'll use it on my laptop. If that's allowed? I dunno how you guys work.